The Rotherham-based Glassolutions Installation business of the Saint-Gobain Group has been acquired by CoBe Capital, a global private investment firm. The French-owned multinational company specialises in conception, engineering and installation of glazed façades and building envelopes. It rebranded from Sologlas in 2012 and brought together three separate operating divisions into its 65,000 sq ft premises at Manvers in Rotherham in 2011. Operating in the U.S. and Europe, CoBe Capital specialises in the acquisition and operation of businesses where corporate parents are looking to divest operations that no longer fit with their core strategy, or are underperforming. It has its corporate headquarters in New York City and has acquired units from corporations as diverse as Stanley Black & Decker, Mohawk Industries, Staples, AFG Arbonia-Forster-Holding AG, IAC/InterActiveCorp, Dover Corporation, and Hachette Livre. 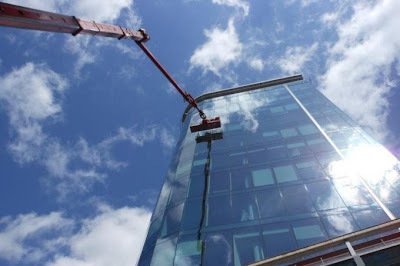 Following the conclusion of the deal, for an undisclosed sum, Saint-Gobain's façade installing and glass replacing activities in the UK have relaunched as Facades & Glazing Solutions UK Ltd (FGS). The company provides contracting, commercial glazing, and insurance services to offer a complete glazing solution to main contractors, leading insurers, facilities managers and property owners across the country. The business has 25 years of experience cultivating strategic relationships with many of the largest and most well-respected companies in the UK. As Glassoulutions, it delivered an annual turnover around £70m, and employs around 440 people. The new owners have stressed that the existing team has been retained. Neal Cohen, founder and managing director at CoBe Capital, said: "We are enthusiastic about driving FGS's growth and standalone success, relying upon its key relationships across industries to scale the business and reach its true potential." This is the fifth consecutive cross-border transaction in which CoBe Capital has acquired a European business unit and the first ever acquisition CoBe Capital has made in the UK. Henning Walf, managing director of CoBe Capital Advisors and acting managing director of FGS, said: "This is such an exciting opportunity for us. It will put the business in a strong position for growth and give us even greater focus, enabling reactivity offered by independent ownership. We will continue to trade as normal – all existing trading relationships will continue with the new entity." Saint-Gobain said that the disposal was part of "the Group target to focus on a coherent and value-creating portfolio of businesses" and added that the rest of the Glassolutions activities, in the core areas of glass transformation and distribution for new construction and renovation, were not affected by the move. In 2016 Rothbiz reported on a confirmed investment of £5m at Glassolutions and a restructure of its operating model. It submitted plans to expand into the adjacent 38,673 sq ft call centre building, known as Horizon.